From 9-11 November 2018, the Pastoral Commission, through the Association of Catholic Families, held a Diocesan Conference for Families at St Mary’s Parish Centre. 87 families of which 84 were couples attended the conference where they received lessons and interacted as families from various corners of the Diocese. This Conference was the first of its kind since the Association of Catholic Families was established in the Diocese in 2015. The aim of the Conference was to deepen the faith of the families that gathered through the prepared presentations and discussions on the future of the Association of Catholic Families in the Diocese by looking at the draft Constitution of the Association and the Action Plan for the following year. 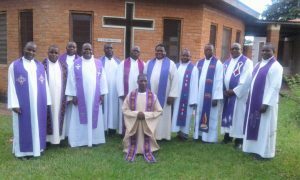 Bishop Martin Anwel Mtumbuka of the Diocese of Karonga presided over the opening mass of the Conference on Saturday, 10 November. 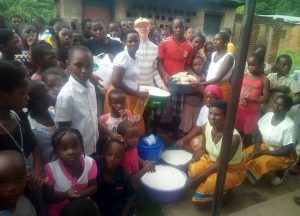 During the opening mass, one couple, the family of Mr Benedict and Martha Nyondo, renewed their nuptial vows as they celebrated 25 years in marriage. In his homily, the Bishop emphasized the significance of family to both the Church and society. “We need stable families in order to have a stable Church and society”, he said. He cautioned the gathered families that: “The vocation to marriage, noble as it is, is not cheap as seen from what it demands of the couples – more so in today’s world where selfishness is rampant”. He encouraged the congregation to root their families on selfless love, learning from Christ’s unselfish love. He also asked all pastoral agents in the Diocese to put special attention to the pastoral care of families. 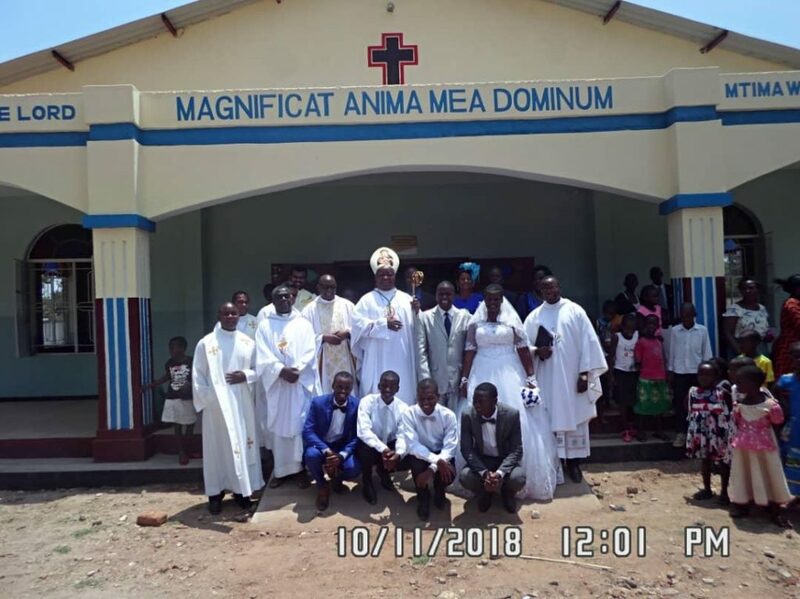 Also present during the opening Mass were the Vicar General (Monsignor Denis Chitete), the Pastoral Secretary (Fr Joseph Sikwese), the Chaplain for the Association of Catholic Families (Fr Joachim Mwale), several other priests, religious sisters and catechists. The families that gathered for the Conference also went through several presentations on Peacebuilding in Families, Handing on the Faith in the Home/Family Today, How to Fruitfully Contribute to the 2019 Tripartite Elections and the Constitution of the Association of Catholic Families. During the Conference, it was encouraging to hear many couples openly sharing the benefits of actively being involved or being part of the Association of Catholic Families. 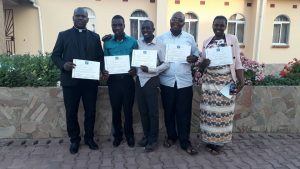 Many of them testified that the lessons on Responsible Parenthood and Family Planning which were done in their parishes have awakened them on how to be better parents. Many others also said that being chosen as Lead Couples in their Small Christian Communities has assisted them to re-examine their behaviour in many areas and has improved their families; they try to live up to the title of “Lead Couple” in their area. It was not surprising to hear requests from the couples that such gatherings and lessons should continue at all levels (Diocese, Parish and Zone levels) in order to allow more families to know that the Association of Catholic Families has come to stay and to allow more families get involved and benefit from the presentations during such gatherings. The Conference closed on Sunday, 11 November, with mass presided over by the Diocesan Chaplain of the Association of Catholic Families, Fr Joachim Mwale. During the closing mass, the couples that attended the Conference renewed their marital vows. Participants fully contributed financial and materials resources towards the conference in terms of transport, food, stationery, refreshments and facilitators’ upkeep. The Diocesan Executive Committee of the Association of Catholic Families was the main organising committee of this Conference. Although less families attended the Conference than expected (87 families of the expected 120 families, representing 73%).